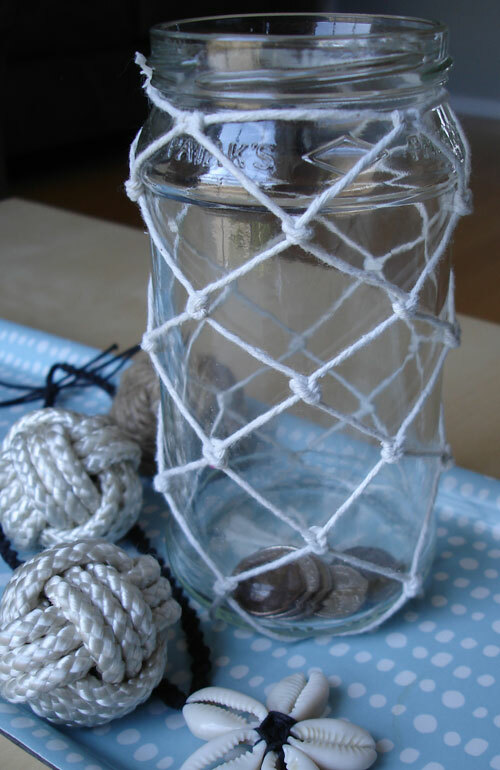 Continuing my theme of all things beachy and my weird new interest in rope and string, here is a nautical jar, destined to be a keeper of change. I knocked (or should that be knotted) it up after reading a wonderful post HERE by Craftberry Bush …great tutorial with lots of pictures. I am so looking forward to assembling the beachy room in your St Louis sibling house. This entry was posted in Coastal Crafts, Craft Projects, Decorative Accents, Home Decor, Rope, String. Bookmark the permalink. Very nice and I like your rope balls and the starfish shells too! This is the perfect nautical accessory! Need to make this for my house! That looks like a quick and fun project. It is a nifty way to add some character to the old change jar. You could do so many other things with it too. I've look at more of your blog and I am also a new follower. I love the look of it! It fits perfectly with your nautical theme! Great job. 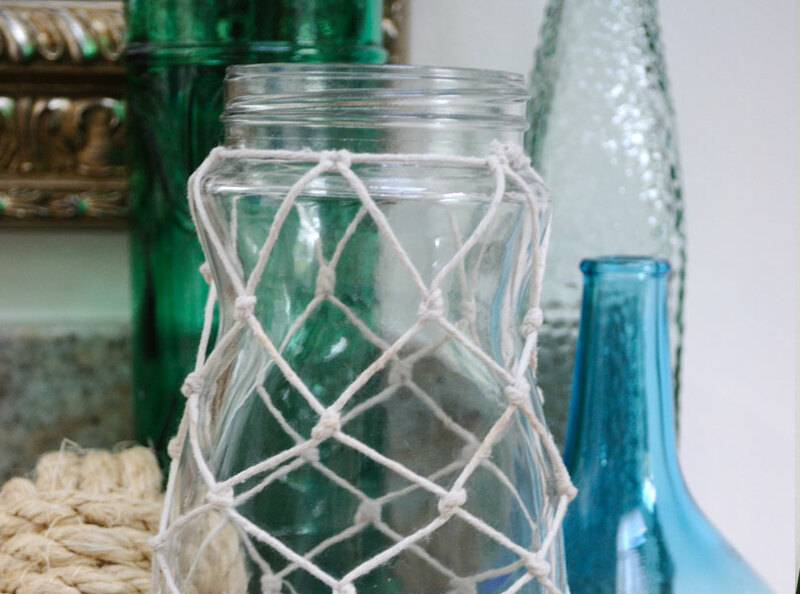 Lovely beachy feel to the jar, looks great! Thanks for stopping by Beach Cottage Good Life Wednesdays and sharing. How fantastic to find your lovely blog. 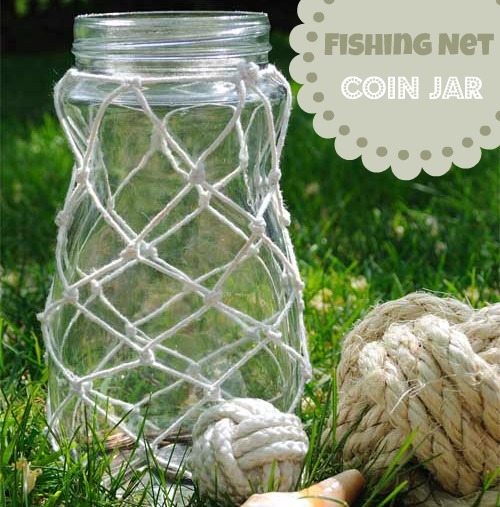 Thanks so much for sharing the fishnet jar and monkey rope balls. I too have a crafty section on my blog called create your own paradise at http://oceaniaislandliving.blogspot.com check it out when you're free. I just poped back to say thanks for joining my Bunny Hop!